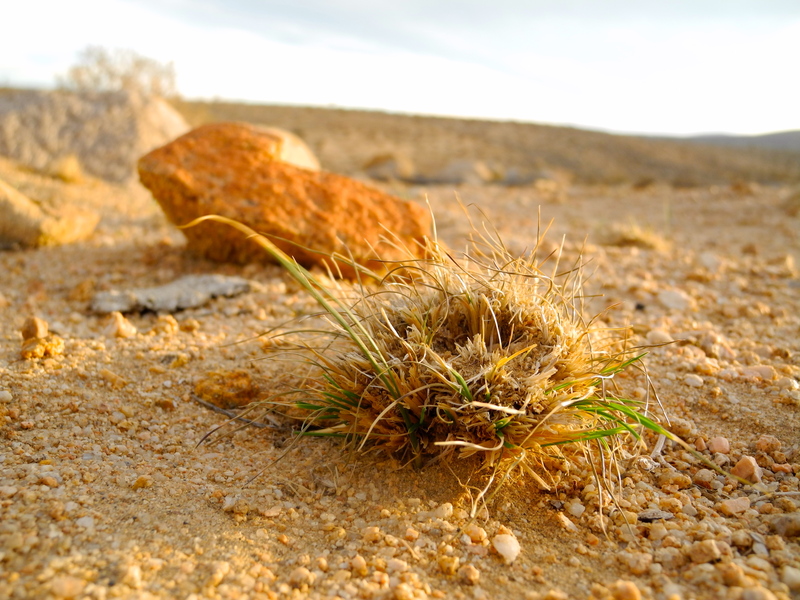 I am a little patch of desert grass, no bigger than a stone you can hold in the palm of your hand, but I am a sign of great hope! I am determined to survive, and I know that I will. In the baking sun I lie low and grow slowly, conserving my energy. Give me a drop of rain or a layer of midnight dew and I shall spurt forth with renewed energy. I need not much, but I am big of heart. Above and below my feet is a world rich in variety and quick response to any hint for new life. Roots house ants and rodents. Soil stores seeds. Stalks provide insulation for nests. Green tendrils catch water and feed rabbits. Shadows shelter lizards. React quickly and live hard, brave desert weed. We are counting on you! I really like this one! Nice picture and inspiring words! Thank you Nick for your visit and kind words! I’m very glad you like my photo and weed musings.